I’ll be accused of hating women or some crap but the real Captain Marvel is a 12 year old boy who turns into an adult superhero. But if you really want to call him by his magic word because Marvel Comics are being jerks then fine. 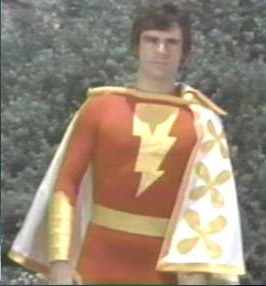 The plot for…mhm…Shazam! has finally been released . It doesn’t sound too bad but I’m still skeptical after hearing previous ideas for the movie and knowing Hollywood the way I do. Posted by ShadowWing Tronix on March 27, 2018 in DC Spotlight, Movie Spotlight and tagged Captain Marvel (DC Comics), DC Comics, DCEU, Shazam (character), Shazam!.